It seems counter intuitive to consider wood and timber construction in the category of advancements in building materials. However wood, and more specifically, mass timber construction, is taking one of the oldest building materials known and applying modern fabrication and construction techniques to create a new way to design and build structures. Cross-Laminated Timber (CLT). Essentially structural plywood with 2x members laminated together in alternating layers. 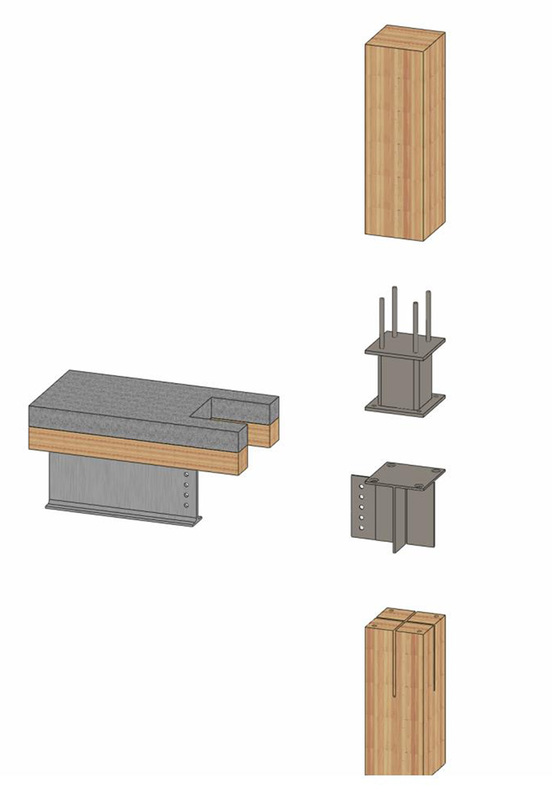 Nail-Laminated Timber (NLT). 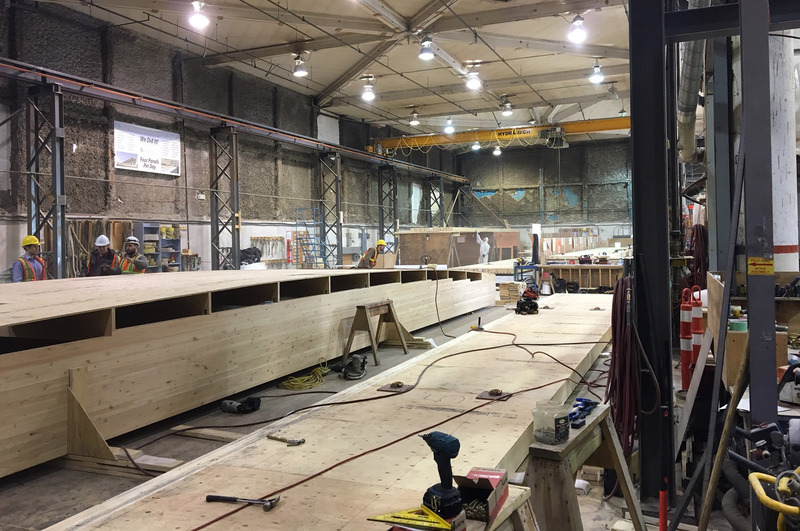 One of the oldest forms of mass timber construction with 2x framing member nailed together and spliced to create large panels. 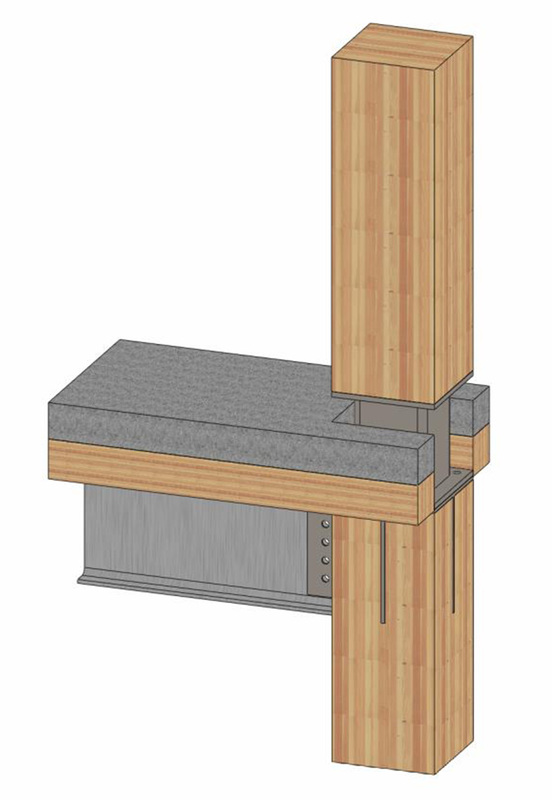 Dowel-Laminated Timber (DLT). Similar to NLT with wooden dowels to ensure monolithic deflection of the panels. Glue-Laminated Timber (GLT). 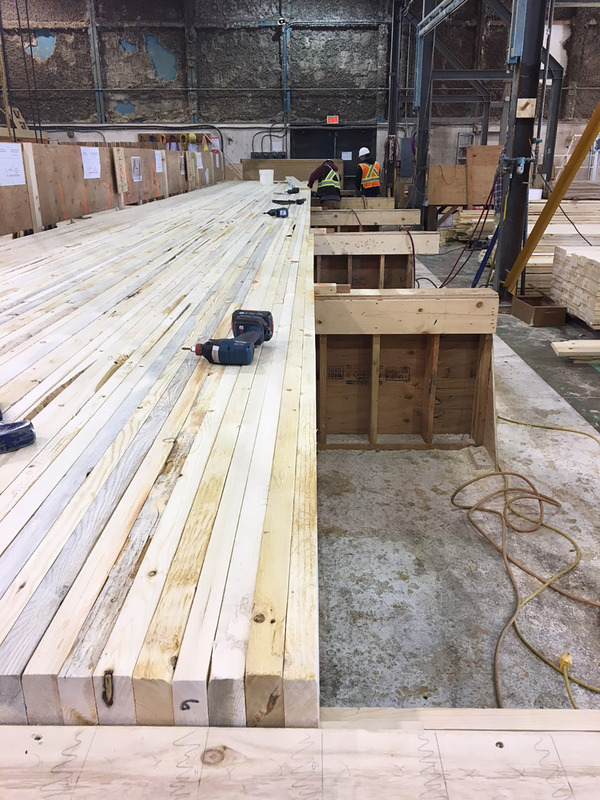 More commonly used as beams or columns, glue-laminated sections can be used on the flat to create flooring panels similar to the other systems referenced. 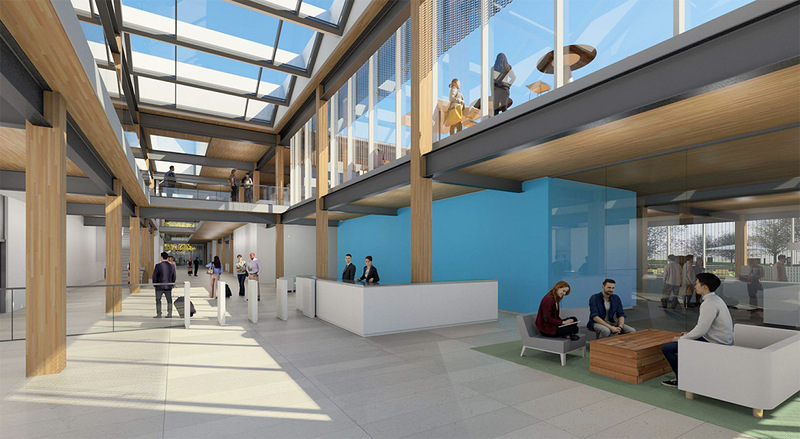 Any of these mass timber flooring system options can be compositely connected to a concrete topping slab for greater strength and stiffness. This composite performance reduces vibrations and increases the spanning capabilities of the floor system. Our engineers evaluate the entrained carbon in alternate structural systems. 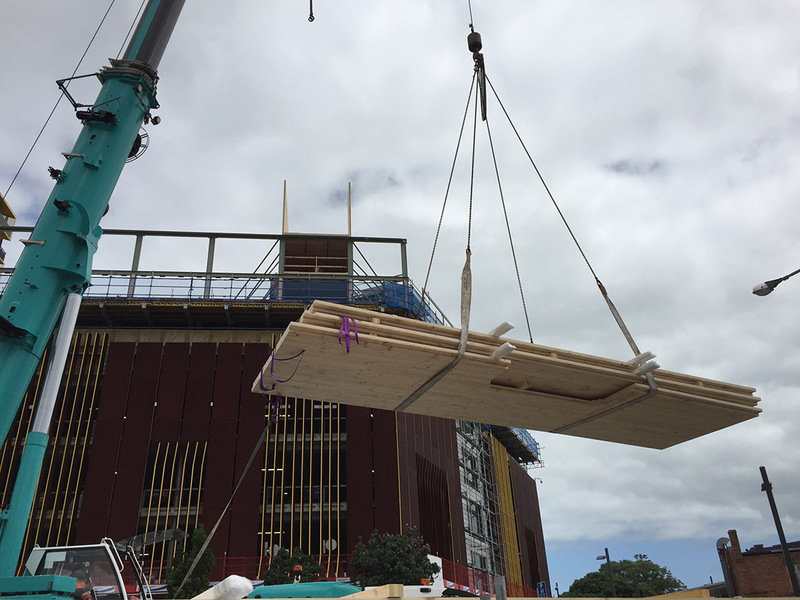 When assessing and analyzing multiple construction materials for the same building the results are clear: using wood as the primary structural system results in the lowest embodied carbon of any structural alternate. We use this tool as one of many factors that go into making recommendations on the most appropriate systems for the projects we design. Designing structures in wood is an art. There are a number of unique factors that need to be considered, from the in-service movement of the material to the different tolerances needed for wood construction vs. concrete or steel construction. When done well the resulting systems are expressed in the finished architecture. In collaboration with our partners at Holmes Fire, we study the performance of mass timber construction in potential fire scenarios. We provide the necessary safety in design whilst challenging some of the industries pre-conceived notions on what is possible! The resulting systems are expressed in the finished architecture. The North American Wood Council has a number of educational resources and further information on wood products and construction. We have found that they have good resources for considerations of design, sustainability, reuse of beetle-killed lumber and other research. Specialist team of fire engineers provides advanced finite element analysis.